NORFACE announces a new transnational research programme on democratic governance. The main focus of this research programme will be on understanding the precise nature of the recent turbulence in democratic politics and governance in Europe, how European states can negotiate it and how they can develop strategies to enhance the quality of democratic politics and governance. The Call for Proposals is expected to be published on 3 December 2018, with a deadline for submitting Outline Proposals on 19 February 2019. Please note that these dates may still be subject to changes. 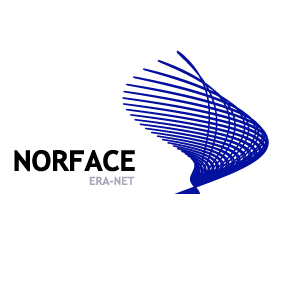 The publication of the Call for Proposals will be announced primarily via the NORFACE website. Democratic politics and governance in Europe are facing turbulent times. Party systems have crumbled or been substantially changed by new parties, including populist parties, and new social movements. Parties in power at the national and regional levels have called into question constitutional arrangements and guarantees once thought to underpin modern democracies. Such political changes have in part resulted from changes in the nature and form of citizen attachments to government, political parties and democratic procedures. The financial crisis of 2007-8 raised questions about the ability of European governments to provide a framework for economic security and the pursuit of redistributive policies. Government itself has changed significantly over the past quarter century, with a growing role for ‘arm’s length’ agencies and regulatory bodies, international governance structures and private sector organisations. This programme offers a timely investigation of the precise nature of the turbulence, but also how European states can negotiate it and develop strategies to enhance the quality of democratic politics and governance. The programme is structured around five of the most important challenges to democratic governance and politics: inequality and redistribution, the evolving politics of threat, the democratisation of information, shifting identities and representation, and the changing authority of institutions. The description of the five challenges indicates priorities for investigation. Yet it is also envisaged that project proposals will consider linkages between these challenges as well as develop, and add to, the analysis of these challenges in ways that explore key drivers of changes in democratic politics and governance. The programme encourages proposals based on a comparative perspective, both cross-national and across time. Proposals can emphasize theoretical developments, qualitative investigation, quantitative data as well as summaries of existing empirical evidence, including reviews and meta-analyses. They will thus produce added value through the development of European cross-national research collaborations exploring the impacts of variations in social, economic, cultural and political contexts on changes in how democracies work. Such comparative perspectives will also allow projects to identify promising forms of policy innovation and institutional design and explore the conditions for their application in different jurisdictions. The working structure of the programme is designed to foster cooperation and enhance research capacities. The focus on challenges will encourage teams of highly qualified applicants to develop innovative and excellent research proposals addressing these challenges. The programme structure also emphasises the importance of topics that crosscut these challenges. Some of these are highlighted in this text, but the programme specification encourages applicants to develop novel and creative programmes of work exploring the wider connections between the main themes. We invite proposals that use all appropriate methodologies, whether qualitative, quantitative, or mixed methods. The innovation expected of proposals under this programme may come in many ways, including through pursuing new research agendas in the field, developing fresh approaches to familiar issues, bringing comparative approaches to bear on issues that have been characterised by configurational studies, applying new methodologies or using established techniques imaginatively in previously unfamiliar areas. Applicants to the programme are encouraged to develop close relationships with relevant stakeholders and research users, including those directly involved in local, regional, national and European policy development. Democracies currently face key governance challenges. They affect not only the institutions of government, but the wider structures and processes that make democratic societies work. In order to respond to them, we require an understanding of the nature, causes and consequences of these challenges, as well as assessments of how governments, political parties, interest groups and other societal actors can effectively address them. NORFACE proposes a programme of social scientific research to understand key challenges to democratic governance and politics in Europe, their consequences, and the possibilities for renewal of democratic governance arising from them. Through collaborative cross-disciplinary research based on cross-national, historical and/or longitudinal comparison, the programme will develop theoretically ambitious and empirically founded insights which will substantially enrich the knowledge base upon which to build new institutions, policies and practices and reshape existing ones for a reflective, inclusive and innovative society. There are numerous signs that established conceptions of how democratic politics and governance works are under challenge. These are found, for example, in the apparent loss of legitimacy of institutions such as political parties and conventional media; the shifting impact of educational background and regional, ethnic and cultural identities on political allegiances; the increased capacity to mobilise protest through social media; the diminished capacity of democratically-elected politicians to exert leverage over a diverse set of private, public and third-sector bodies that now deliver public services; and the challenges to liberal-democratic norms through security threats arising from domestic and international terrorism as well as from cybercrime. Such challenges are real, but existing evidence suggests that their intensity and impact are far more variable, and that democratic institutions appear to be better able to meet them, than a simple ‘decline’ or a generalised ‘loss of trust in governing institutions’ thesis would lead us to believe. Across the globe, and certainly also in Europe, we can witness experiments with ‘open’ government, public engagement in budgeting and other policies, collaborative governance and ‘do-it-yourself democracy’ as well as a variety of citizen media taking advantage of new technologies, abundant data, and citizen expertise. Simultaneously, ‘old’ democratic institutions and policies are being debated and reformed in many countries in order to respond to perceived challenges to their authority and legitimacy, with examples ranging from lowering the voting age to clarifying (or even altering) the limits of free speech, and the ‘Spitzenkandidaten’ process of selecting EU Commission Presidents, to discussions of taxation and social policy reforms designed to deal with a globalised economy. Therefore, this programme lays groundwork for innovations in democratic governance through exploring the ways in which a range of governmental and non-governmental institutions might adjust to, or build on, these challenges to develop new patterns of democratic governance. This NORFACE transnational research programme addresses these profound challenges to the fabric of democratic politics and governance. The focus on governance recognises that these are challenges for the wider constellation of organisations, networks and practices that shape European democracies and their public services rather than for the institutions of government alone. These challenges are often framed as being related to a ‘crisis’ in civic engagement as they appear to have, among other things, polarised citizens in ways that traditional parties and institutions find hard to address; fostered beliefs that politicians, experts and media tend to be self-serving and their views are to be discounted; made citizens feel threatened by other citizens or the forces of the state; and led citizens to prefer to avoid contact with the state. Yet while important, this is not the only perspective by which these challenges can be understood and addressed. They can be framed as an undermining of democratic processes as its institutions, procedures and norms are challenged by populist parties and movements, of the left and the right, offering simple solutions to complex governance problems – from trade to migration. They can also be framed as reflecting a range of constraints and uncertainties within government and wider institutions about how to respond to fundamental changes in their environments or to new and often apparently conflicting demands from citizens. Policy makers and politicians are seeking to address such concerns for democratic politics and governance. The need for analytical social science knowledge to help them has arguably never been greater. This programme addresses this need directly. It takes five key challenges and traces them through in a series of studies that explore the conditions under which they lead to changes in how democracies work, the precise consequences for democratic performance as well as the responses of government and other institutions to these changes. While these five key challenges are analytically separated here, they all directly concern the quality of democratic governance; we need to understand their nature, their effects and the relationships between them. Critical to understanding the impact of these challenges on how democracies work is an assessment of the mechanisms by which these commonly experienced challenges shape citizen perceptions and how these perceptions reflect different citizen experiences of these challenges. Such perceptions are themselves influenced by a range of educational, demographic, socio-economic, cultural, spatial and (social) psychological variables, the effects of some of which are better understood than others. How governments and other institutions act in relation to these challenges is likely not only to shape their impact on democratic politics and governance but also to offer possibilities for developing advice on policies and innovations that might enhance democracy. While the five challenges outlined here affect many democracies, and their causes and consequences often involve broader global processes and issues, a programme focusing on Europe is particularly valuable for several reasons. Firstly, the challenges to the fabric of democratic governance facing Europe and the EU are particularly visible with, for example, the Euro crisis and the enormous discrepancies in economic growth, unemployment, and living standards between the ‘North’, ‘South’, ‘East’ and ‘West’; persisting problems associated with the application of the Schengen Agreement and migration challenges; ‘Brexit’ and its likely consequences; populist challenges from the left and right; and the rise of illiberalism in governments of some EU Member States as well as some of the EU’s neighbours. Secondly, the civic and political institutions – including parties, state institutions and NGOs – of European nations have historically shared strong similarities in their patterns of development with those of other European nations and continue to do so. Such similarities can provide an especially strong basis on which to develop a comparative examination of the governance consequences of these challenges and how they might be addressed. Moreover, the impact of these challenges might be expected to be particularly large in European countries because of the close integration of political, social and economic systems of different countries in the Eurozone, the EU and the EEA. For example, close integration makes questions of cross-national and interregional equity especially visible among citizens, it offers a focus on ‘Europe’ for citizen identity or alienation and creates a European ‘public space’, albeit not as well defined as those of its national counterparts, for identifying, deliberating and addressing public policy problems. Thirdly, the aim of ‘regaining citizens’ trust in the European project’ by emphasising the democratic civic dimension of the European Union has been a key plank of Commission policy; Jean-Claude Juncker, for example, emphasised the importance of ensuring that the EU ‘is more than a big common market. It is also a Union of shared values‘. Fourthly, a European focus for a scientific study of this kind is particularly valuable because European countries, despite sharing some longer-term patterns of political development, show significant variation in the way in which democratic politics and governance has been affected by these challenges. How major institutions, including state organisations, legislatures, parties, interest groups and the media, are affected by such changes is likely to vary substantially across European countries. For example, declines in partisanship may be moderated by the clientelist structures found in some party systems that appear to bind citizens to parties more strongly than ideological alignment. Attitudes to the police appear to deteriorate following negative press coverage in some countries while in others attitudes appear unaffected or even more positive. Finally, by focussing on Europe we can develop through comparative analysis a deeper understanding of the micro-level mechanisms that link patterns of individual behaviour to the macro-level challenges to the ways democratic politics and governance work. The ways in which citizens reflect, among other things, perceived or actual economic circumstances in their opinions, attitudes to authority and votes appear to vary cross-nationally and our understanding of the variables and mechanisms at work needs further research. Understanding the mechanisms by which similar challenges lead to different individual perceptions and emotions, and thereby to different outcomes, will lead studies in the programme to develop positive policy lessons for decision makers in Europe and beyond. The programme will focus on themes derived from five critical challenges to democratic governance and the responses to them: inequality and redistribution, the evolving politics of threat, democratisation of information, shifting identities and representation, and the changing authority of institutions. These themes are approached from a perspective distinctive to this programme as they call for projects that focus on the democratic governance issues arising from each. Proposals are invited that explore their scale and nature, causes and consequences, on the micro-, meso-, and macro-levels. Proposals are invited that deal with the patterns and mechanisms by which these challenges operate and unfold. Projects will, in addition, be able to offer a systematic assessment of the effectiveness of responses to these challenges in a comparative perspective, across both space and time. The financial crisis of 2007-8 focussed attention on questions of inequality, especially on the degree to which the burden of taxation and the benefits of public investment are shared between state, citizens and domestic and multinational firms. A range of social, cultural and political cleavages is becoming increasingly associated with levels of economic inequality. These include spatial concentrations of employment and unemployment as firms start up, close, relocate and downsize; generational inequalities in earnings, life chances and the ability to acquire assets, most notably between baby boomers now in the process of retiring and millennials entering the labour market; educational inequalities; gendered employment markets; and welfare rules and norms. Spatial inequalities in employment opportunities ignite feelings of economic deprivation and political neglect. Together they offer a fertile ground for mobilising citizens around issues of identity politics. As the rise of right-wing populist political parties across Europe forcefully demonstrates, appealing to nationhood as the boundaries of an imagined in-group while depicting immigrants as an economically and culturally harmful out-group have become effective campaign strategies. Concomitantly, the politicisation of in-group versus out-group sentiments strengthens welfare chauvinistic attitudes. Seemingly, the traditional socio-economic cleavage (left versus right) is increasingly overlaid with a cultural ‘globalisation/cosmopolitanism versus anti-globalisation/communitarianism’ cleavage that re- structures political alignments, enhances political polarisation, cynicism and distrust and facilitates the rise of populist political parties. Disentangling these complex, emerging conflicts and analysing economic, institutional, and societal conditions conducive to them will help better to understand mechanisms of divisions in multicultural European societies. Likewise, conflicts revolving around aggravating generational and educational inequalities are increasingly tied to socio-economic divisions. While the economic tide between baby boomers and millennials may eventually challenge the solidarity and consensus of redistribution between generations, technological developments towards an industry 4.0 will lead to the loss of many less-highly skilled professions in a foreseeable future. Simultaneously, gendered employment markets are still prevalent in many European societies. Consequently, are we currently witnessing the evolution of further cleavages that may reinforce societal divisions and lead to the emergence of new political parties or will established parties be sufficiently responsive to these encompassing trends? Will they imperil the deeply-held consensus on the principles of redistributive policies or will the latter be complemented or even replaced by alternative models of welfare? Certainly, the extent of these inequalities differs between countries, but so does the extent to which those disadvantaged by them organise and demand that states, regional and local governments, as well as the European Union deal with them and implement appropriate policy responses. Objectively measurable levels of inequalities and subjectively perceived extents of it do not necessarily follow similar trajectories. Prevailing social norms on welfare, institutional structures, economic dynamics and public discourse all shape citizens’ perceptions of inequalities and their preferred policy responses to them. Addressing the relevance, causes and mechanisms that underlie subjective perceptions of inequality may advance our understanding of individual preferences for redistribution that go beyond objective self-interests. Closely linked to the impact of subjective perceptions of inequalities is the assumed relevance of distributive justice attributions. In this vein, political involvement supposedly is triggered by perceived inequalities that are attributed to unfair distributions of income and wealth. As a consequence, these attributions may motivate individual opposition to, or support for, tax reforms that aim at substantive income redistribution. Profound economic inequalities also have emerged in the wake of the financial crisis of 2007-8 between the comparatively wealthy European North and the poorer regions in the South and the East. The Euro crisis has exacerbated these inequalities, and there is explosive potential for the economic sustainability of the Eurozone and the cohesion of the European Union. In addition, fiscal governance challenges European economic equilibria with some European governments offering advantageous tax rates to multinationals in exchange for economic boost. In this regard, the relationship between governments and multinationals has already come under public scrutiny, but scientific studies on the origins and visibility or transparency of these relationships as well as the motivations and reciprocal benefits of the actors involved are still scarce. From this vantage point, the analytical scope may even shift from cross-national to global trends of economic inequality, implying the question of redistributive principal-agent relationships. Threat is one of the major driving forces of individual, group and societal behaviour. Threats can be perceived as coming from the outside or emerging from processes within societies. Threat can be perceived as affecting the single individual, the group or the society in general. Threats can be defined objectively, but also subjectively in terms of feelings of threat. Feelings of threat often depend less on direct experience with the threatening conditions than on mediated information in social networks or the media. This means that the perception of threat as well as the reaction to it depend on the communication channels used, which can come directly from the threatening agent itself or can be reported indirectly, such as through communication by third parties or by the press. In other words, the communication channel in the form of network communication or media influence is a moderator of threat-related processes. Feelings of threat affect those considered to be directly under threat by producing negative emotions in them. They also have an effect on others, such as the political movements that make specific threats salient as well as the third parties that are cast as part of the threat, such as migrants and immigrants in current debates about terrorism. On the individual level, threats and accompanying feelings of threat can lead to severe psychological suffering, to reactions against the threatening agent as well as against third parties which are in one way or the other subjectively connected to the threatening agent. This can cause symptoms of anxiety and phobia, defensive reactions such as withdrawal from public life and avoidance of (potentially) threatening individuals and groups, as well as prejudice, discrimination and violence against individuals and groups that are perceived to be connected with the threat. In a similar way, individual-, group- or national-level threats lead to domestic as well as international defensive processes; these include protection against an alleged outside threat in the form of closing borders or against an internal threat by subjecting specific segments of the population to surveillance or social exclusion. In such processes, governments and other political actors go through changes of their own, as some advocate open debates about appropriate responses and others propose authoritarian restrictions of democratic freedoms. Security threats are sometimes a motivation for initiating far- reaching political changes, such as in the area of surveillance and media freedom. Here the politics of threat are often not only a response to economic, social and environmental changes but reports of threats are also exaggerated and, in this way, politicised as a tool to legitimate individual and institutional changes and bolster power. Current examples are the public and political debates about migration and terrorism. This often goes along with changes in the political agenda, indicated by new political movements and the emergence of extremist parties. Typical governmental reactions are declarations of states of emergency and a more visible presence of armed police as well as an increase in the power of the state to gather information and detain suspects. Changes in the role of the state have also resulted in some communities relying on private organisations for policing, prisons and the administration of criminal justice. All of this raises questions about how individuals, groups and democracies can best manage security threats and the ‘politics of threat’ employed by individuals and politicians in response to such (real or imagined) threats. Individual as well as societal and political reactions to threat have strong implications for broad patterns of support for policing and civil rights. In addition, threats and discourses about them significantly affect inter-community relations by differentiating between social, cultural and religious groups on the basis of their perceived or ascribed security risks. The changes these things produce in individuals, as well as in groups or societies, influence each other. An indicator of this is the rise of populist movements, both at the individual level in the form of readiness to accept populist messages as well as at the societal level in the form of the emergence of populist movements and parties. One of the major scientific and political tasks for the future will be to improve the understanding of how threats intensify at the individual, societal and political levels and through this to develop promising counter-strategies. Such a research strategy will have to take into account that threats and the reactions to them also reflect cultural and historical contexts. This implies research that examines individuals within their context and potentially benefits from mixed-method interdisciplinary research approaches. While the continuing development of information and communications technologies (ICT) has created new possibilities for some citizens and groups to communicate, mobilise and contribute to policy making, traditional sources of political information, such as the press and broadcasting, have also remained powerful in their existing forms and through adapting to the changed digital environment. Patterns of media ownership, the political influence of new as well as traditional media, the internationalisation of media institutions, and the added scope that digital media offers for some groups and individuals to seek to shape events and attitudes both within and outside their own countries, mean that the digital media environment has increasingly become a forum for domestic as well as international contestation, alongside the ‘traditional’ media. Research is needed to interrogate the means by which citizens obtain information about democratic governance, about the processes by which information and communications are created, disseminated and regulated, and about the content of the material that is available to citizens. The speed of change in media technology and the impact these changes have had in the past twenty years raises the question of whether further changes in technology or its application are about to have even bigger impacts. Traditional sources of authoritative information – above all, experts and professionals in the established media – are being questioned, as citizens have access to alternative sources of information and news and as doubting the integrity of media professionals has become a more common political strategy. On what basis do citizens evaluate what they see as trustworthy and believable? The available evidence suggests that some groups may be more predisposed to putting credence in reports from unattributed sources and that messages confirming existing views are more likely to be believed than those that challenge them. Yet the impact of how the message is conveyed and how contrary reports are evaluated is less clear. There is good reason to assume that it is less the validity of a message that makes it acceptable but more the overlap with own and reference groups' pre-expectations which influences its reception and creates echo-chambers composed of those with similar attitudes. Understanding the sociological, (social) psychological and other mechanisms underpinning the reception and processing of ‘fake news’ and ‘fake science’ could be central to developing effective means of understanding how ‘fact checking’ institutions might develop strategies to counter their effects and avoid the danger of confirming ‘fake’ messages. Is it possible to learn lessons from ‘citizen science’ initiatives to involve citizens in news- and fact-gathering in ways that do not undermine rigour in the production of evidence and knowledge? Social media have become central to political campaigning. In election and referendum campaigns they help shape agendas, how parties develop their strategies and how voters react to their appeals. Professional campaigning organisations use distinctive messages to voters, some of this targeting being based on ‘big data’ methods applied by analytics firms. To what extent can parties shape social media campaigns, what are the dynamics of agenda setting in social media during election contests, what is the role played by algorithms used by search engines and by ‘bot’ accounts, and do these dynamics offer significant scope for major interests or even foreign governments to interfere and shape the conduct of the electoral contest? Has the increased ability of individual politicians to use social media to make direct appeals for citizen support meant that campaign rhetoric is now more likely than before to shape and constrain policy debates within government? While it is common to suggest we have entered a period of ‘post-truth’ politics, we do not know how far this reflects the reality of policymaking and political debate inside and outside government. Have governments themselves become less willing to devote resources to evidence-based policy initiatives, do politicians have to adjust how they frame and justify policy initiatives? And what is the role of intellectuals, experts and scientists themselves? While some have suggested that social media undermine the role of intellectuals in a democracy, others have suggested that many have managed to use the democratisation of the media to strengthen and widen their influence. Is there really a decline in the legitimacy of expertise as opposed to a greater or more visible dissent among experts, a declining preparedness to defer to some types of experts or to greater citizen awareness of, and concern for, issues that once were considered part of the quiet and secluded world of experts and professionals? Developments in the information landscape, including the easy availability of the means of disseminating information widely, have raised a range of questions about the adequacy of traditional approaches to questions such as freedom of speech, privacy, and the incitement of hatred. Existing laws and norms, or the ways they apply, have changed to reflect the impact of the changed media landscape. The nature of the changes seems variable: in some countries it appears to have been associated with limitations on free speech and in others not. What is the scope for regulating the media, traditional as well as new, in areas such as privacy, incitement to hatred, causing insult and offence, libel and journalistic standards? Self-regulation and agreement may be the preferred option of some media companies, but what is the role of law and regulation, and has it worked where it has been tried (e.g. with Germany’s 2017 Netzwerkdurchsetzungsgesetz or the EU’s ‘right to be forgotten’)? What are the limits of regulation in protecting rights in this area? Demographic, social, and cultural changes have generated new political cleavages and struggles over representation. Ageing populations, declining blue-collar workforces, and rural-to-urban migration, for instance, reshape demands and identities. A rising share of retirees entails not only a demographic shift, but also widening gaps in the social and economic preferences of older citizens and wage earners. Similarly, restructuring of production through automation and declining economic opportunities, particularly in industrial and service sectors, exacerbates divisions between those who benefit from, or feel the pain of, technological change. So too, changes in the ethnic composition of European polities, following high levels of migration within the EU and from outside, not only bring about new citizens but also new beliefs and practices (e.g. regarding gender and religion). These social changes create new struggles over identity. Members of groups dispute the definition of identities and ‘common values’. Such battles take place within groups whether defined in subnational (e.g. religious, class, gender), national, or transnational/European terms. For example, witness controversies over the appropriateness of identifying markers — language, dress, behaviour — or disputes regarding control over physical or ideological space. These battles over ‘authentic’ identity are coupled with struggles over the right to membership and legitimate representation — the definition of ‘us,’ as an example, among citizens varies wildly from different migrant, religious, or class backgrounds to others. Dichotomous, ‘us versus them’ struggles include tensions between citizens with and without migrant backgrounds as well as between citizens who embrace and benefit from globalism, and those who feel abandoned or even betrayed by these processes and hold a more ethno-nationalist worldview. While conflicts over interests are solvable by compromise, these disputes over values and identities tend to be binary and dramatic, and as a consequence fundamentally more difficult to solve. Along with changing identities and cleavages, there are significant shifts in the loci of democratic engagement. Political parties, labour unions and traditional media are losing their role as primary mediators and distributors of political interests and information. Social media and the internet have become increasingly influential, fostering an emergence of ‘virtual communities’ and new forms of social movements. As individuals who had been represented by these outmoded vehicles of representation lose bargaining power, they either latch on to new movements or are unable to engage in negotiations over social and political change. Thus, there is reason to believe that we are witnessing not only shifts in the sites of representation, but in the degree to which they are viewed as legitimate as well. Shifting away from former bodies of representation suggests that trust in institutions is declining. The lack of trust in ‘conventional’ politicians and institutions may be giving rise to new modes of representation, and new sets of political actors. Consider the emergence of populist movements and fringe organisations, whether located at the national level or transcending boundaries. The changing characters of identities, cleavages and representative institutions give rise to a number of questions that deserve close examination. What are the varied ways in which these new cleavage structures and democratic institutions are changing? Are we witnessing a period of de-politicisation and apathy, or re-politicisation and novel forms of representation? To what extent do we find variations in the bases of emerging identity cleavages and struggles, in the strengths of populist movements, and in the efficacy and responsiveness of democratic institutions? Do local, national, or universal processes explain this variation? In a world in which social media play an increasingly important role, to what extent are identity and changing forms of representation driven by local (e.g. geographically defined) socio- economic context? How, by contrast, do changing international geo-political dynamics affect identity struggles and representation? Is the impact of local, national or trans-regional factors mediated by regional or historical experiences across Europe? To what extent can the lessons of history be illuminating, whether from the rise of populism in the early 20th century or elsewhere? What options exist for those individuals and institutions that traditionally performed representative roles, or for new actors to play instrumental roles in peacefully resolving emerging conflicts? How can the technologies or shifting ‘globalisations’ be harnessed to mitigate increasing social cleavages, perhaps by facilitating deliberative processes or aiding in redefining relevant communities? The problems facing government and supranational institutions are not simply related to ‘trust’. Wider questions of democratic legitimacy have been thrown up by the rise of support for populist parties. Whether through more overt forms of authoritarianism or less conspicuous ‘autocratic legalism’ the democratic rules of the game are being recast in European states such that democratic constitutional constraints appear to be under threat if not already subverted. This raises more general points about the place and role of institutions in democratic regimes and the extent to which supranational constitutional design and unelected institutions could be seen as effective constraints on the political power of elected politicians. There is no longer a single model of democracy to be followed, but rather a variety of regime types that lay claim to democratic credentials (e.g. hybrid regimes, electoral democracies, competitive authoritarianism). As institutions are portrayed as detached from ‘the people’ and unable to deliver, the main thrust of populist movements is directed at their radical overhaul. From the citizen perspective the volatility of the electorate raises the question of the basis on which judgments about the legitimacy of government and the procedures of democratic decision making are formed; are these becoming more conditional on the economic and policy performance of governments, and/or more contingent on any congruence between the values and preferences of citizens and governing elites? Public perceptions of institutions matter, and they call for more in-depth interdisciplinary studies. The future of democratic regimes might depend less on institutions than on the informal practices that surround them, such as constitutional culture, political leadership and public support and opposition. Institutional vulnerability and possible counter-strategies are of acute importance and merit academic attention. These include the development of institutions and mechanisms to ensure the enforcement and improvement of ethics and probity within government such as transparency, anti-corruption and public standards regimes. Government has come increasingly to rely on diverse forms of arrangements for policy delivery, including partnerships with the private sector, outsourcing, independent agencies as well as enhanced forms of globalised and decentralised government and cross-local collaborative and networked organisations to develop and deliver services and tackle problems ranging from climate change and energy transition to transnational organised crime. Some of these new forms of diverse governance structures have been made possible by the development of ICT. Signs of a ‘post-New Public Management recentralisation’ have so far been sparse. Thus states have, partly by design, limited their capacity to direct themselves and have come to rely on a variety of regulatory, contractual and non-legal arrangements to shape the way services are provided. One consequence of this dispersal of state executive authority is that organisations carrying out public services might be less responsive to political direction, another is that public accountability is weakened as the precise roles of those who design and resource public policies and those who deliver them in any failures become blurred, especially during periods of perceived failure and crisis. Both consequences also raise the question of how these organisations respond or are expected/required to respond to the political economic and social changes in their environment. Moreover, shifts in the political weight of different institutions including the apparently increased power of global and European institutions, finance ministries, of depoliticised regulatory institutions, judicial and quasi-judicial bodies as well as hybrid institutions at the regional and local level, may have further made public policies less directly responsive to democratic political pressures. Courts have come to occupy a pivotal role in international and domestic governance where policymaking and implementation responsibilities are dispersed, leaving open the question of whether they are capable of successfully resolving conflicts between institutions. Such debates, ultimately, lead to the questions of what kinds of institutional reforms and what kind of institutional architecture is required to ensure a high-quality democracy. Moreover, the rise of populist constitutionalism has highlighted the error of ‘normative asymmetry’ in international and supranational design: authority to ensure that states remain liberal democracies has not effectively translated into law and institutional capacity to address this problem. An ‘authority – capacity’ divide raises important conceptual questions that inform this theme. Should the EU interfere in domestic law? How can the gap be bridged between what is desirable and possible given the factual and legal? Does the EU institutional system have a safety valve by which it can deflate excessive nationalism and manifestly illiberal practices at the domestic level? Can the EU preserve the common values of supranationalism that launched the European project and, more particularly, can domestic constitution-making be constrained from the outside? The apparent ‘judicialisation’ of policy making and service delivery could be a further sign of citizen belief that conventional representative and participatory mechanisms are more likely to be unresponsive to their interests. Instead of seeking political change through parties, parliament and the executive, unions and interest groups devote significant resources to litigation to secure their objectives, in areas from environmental to employment law. Moreover political parties as well as supranational, national, regional and local government bodies also make use of courts to pursue their goals. In all these cases litigation might be more potent than political processes as a tool to bring about policy change. On the flip side of the judicialisation of politics is the shrinking space for political discourse and the ensuing politicisation of the judiciary. How these features interact calls for in-depth interdisciplinary research. Political parties have long been the institution that make it possible for executives to mobilise majorities in parliamentary systems of government. The collapse of the old party systems in several European countries as well as the volatility of the electorate has been intensively studied as a psephological or sociological question. It is also a constitutional and governance question; how have electoral uncertainty and the related efforts of politicians to forge closer ties to their electorates affected the behaviour of party elites, internal party democracy, party election strategies and the behaviour of parliamentary representatives whether from the governing or opposition parties? The focus on the reaction of political leaders to changes in the nature of democratic politics and governance raises the wider question of understanding their perceptions of these changes and the constraints they face when seeking to respond to them. Finally, the locus of governance has shifted in many cases. Urban and regional governments have in some countries increased their roles in the provision of public services and have pioneered new ways of providing these services and engaging citizens and regional and local groups in decisions affecting social, economic and cultural policies. In other cases, formerly public sector provision has been outsourced to private enterprises, or abandoned entirely by the state. To what extent do these changes affect citizens’ perceptions of the state? And where subnational government assumes greater powers, does their pioneering role provide a laboratory for different initiatives that might be used to enhance democratic governance at the national and EU levels? Does the diversity and variation in regional and local service provision, the variation in democratic processes as well as the potential for conflict between national and subnational governance structures generate increased citizen dissatisfaction through perceptions of spatial inequality and diminished accountability? Our knowledge of the dilemmas and political tradeoffs involved for those actually faced with trying to negotiate the challenges and demands of public office is generally rather limited. An adequate understanding of the politician and policymaker perspective on responding to the challenges outlined here is important for framing suggestions and advice arising from the research. The programme will support research that addresses one or more of the five major themes in this programme. The themes are analytically separate, but in practice they are related. Inequalities and perceptions of inequalities, threats and identities affect each other as well as how people relate to others and how they view the authority and legitimacy of democratic institutions. The actions of states and other institutions shape how inequalities and threats are perceived. Moreover, many issues cut across our themes including, to mention but a few examples, foreign powers’ use of cyber campaigns and attacks as a method of achieving foreign and security policy goals, the elaboration of deliberative mechanisms for resolving political conflicts and the growing importance of age or generational differences in patterns of identity and political alignment. Innovation in the applications to this programme can thus additionally take the form of exploring imaginatively cross-theme linkages and analysing fresh and distinctive complexes of problems that emerge from interactions between these themes. The call for research proposals under this programme has been designed to attract innovative and ambitious projects that will develop the field conceptually and empirically. The broad subject area as well as the five themes outlined here are at the forefront of academic research in a range of areas including political science, sociology, social policy, criminology, economics, law, socio-legal studies, business administration, geography, psychology, anthropology, media and communications sciences, international relations and public administration. While the focus of the research is on the turbulence of contemporary times, the programme will also consider well-targeted historical research with a strong bearing on the issues of the present. There is a particularly rich strand of historical-sociological perspectives in European scholarship on the varying impact of common experiences of social, economic and cultural change on the development of democratic politics that could help better to understand the varying impact of these challenges. Where appropriate the programme will require interdisciplinary and mixed method (including quantitative and qualitative, cross-sectional and longitudinal and experimental) research, exploring different mechanisms linking the challenges to social, economic and political attitudes and behaviour including individual-level psychological traits as well as socio-economic, demographic, cultural and political variables. Research cutting across several of the five themes outlined in the programme, examining the interactions and interrelationships between different challenges is strongly encouraged. A cross-national comparative focus is central to the programme design. Proposals under the programme will be expected to include at least three countries in the research which allow valid assessment of the variability in the intensity of the challenges, the contexts in which they are posed, the mechanisms by which these affect citizen attitudes and behaviour, the responses of government and other institutions and the effect of these responses. The research programme will thus be able to address NORFACE’s key objective of promoting research that provides clear ‘European added value’. Research projects that extend comparisons beyond NORFACE countries are welcomed, although this programme is in principle focused on the European context and proposals should draw lessons for Europe. Proposals are expected to devote significant attention to discussing how their findings could help develop local, regional, national or international responses to the major challenges at the heart of this programme. This NORFACE programme has transnational and interdisciplinary collaboration at its core. It also aims to build strong relationships with relevant stakeholders and users of the research and to have a direct impact on policy development. Developing networks with and between research users across the NORFACE countries. In this programme, NORFACE strives for gender equality among principal investigators and their teams and will seek to ensure that researchers and research interests from across the full range of countries covered by the funding organisations in this programme are properly represented. Key stakeholders for this NORFACE programme include: the academic research community; governmental agencies at local, regional, national and trans-national levels; parliamentary assemblies; public, private and voluntary organisations engaged with governance, employment and other dimensions of governance; advocacy organisations for marginalised groups; employers and the media. Several stakeholder activities and case studies can be built into the projects funded within the programme. The incorporation of stakeholders into proposed research projects is greatly encouraged. The proposed programme will provide a new assessment of how the major challenges to democratic politics and governance have had an impact on social and political relationships in different countries, what accounts for the variation, how these challenges have been met and with what success. The academic impact of the research will be the generation of new knowledge, insights and theoretical perspectives on relations between the state, political, social and economic institutions and citizens as well as on relations among different groups of citizens. The practical and policy impacts of the programme arise from the examination of the key variables and influences that shape the intensity and outcomes of these challenges, thus providing the basis for understanding the range of positive interventions and policies that might lead to greater democratic innovation.